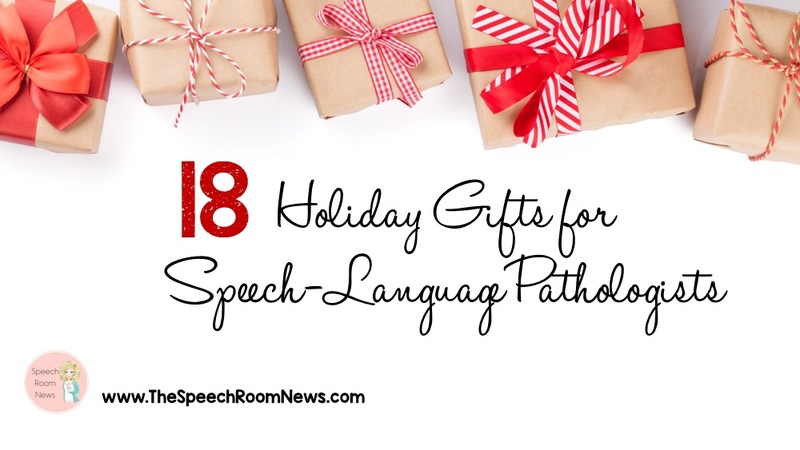 If you’re looking for gifts for a speech-language pathologist you are not alone! 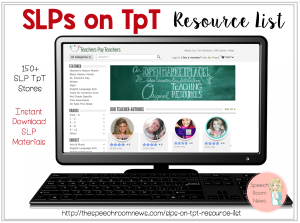 SLPs are a wonderful bunch but we can be hard to buy for! 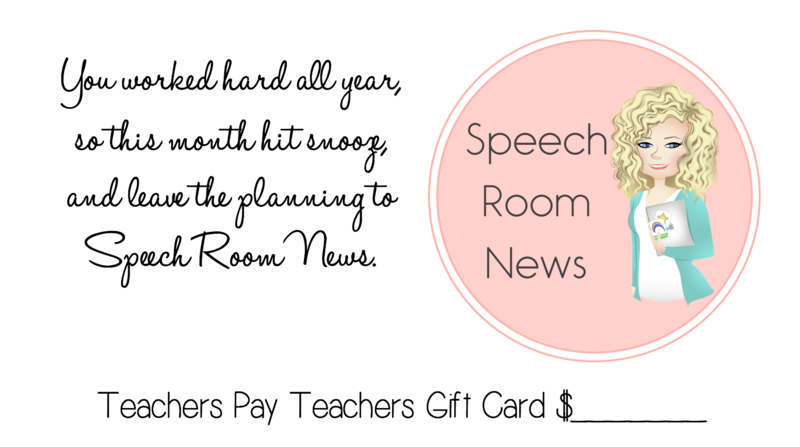 Here are 18 gifts that your favorite SLP might be able to use at work. Fresh materials that feature current topics are always needed in the speech and language office. 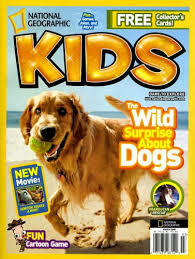 National Geographic Kids is a great magazine that can be used for reading skills, comprehension, social group conversation starters, compare/contrast and more. Support of a local business that employs young adults with special needs. 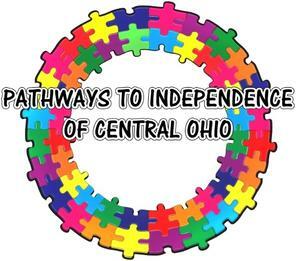 In central Ohio, my co-workers quit their jobs to open Pathways to Independence of Central Ohio. It’s a vocational support/coaching nonprofit. They are also using a doggy daycare to employ young adults and do on the job training. Cooper LOVES attending and I love giving my money to a good cause. Find one local to your area and purchase a gift card! 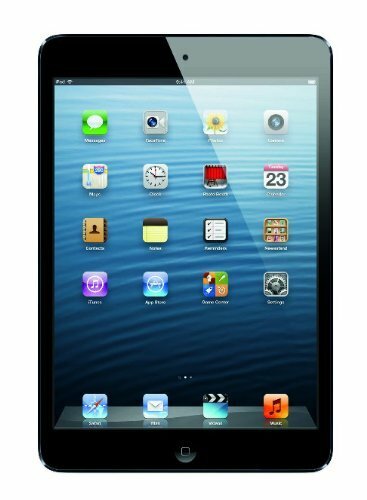 An iPad is becoming more and more affordable now that minis exist! If you still don’t have an iPad for therapy, I highly suggest adding it to your wish list. You can get a refurbished iPad mini for about $200. 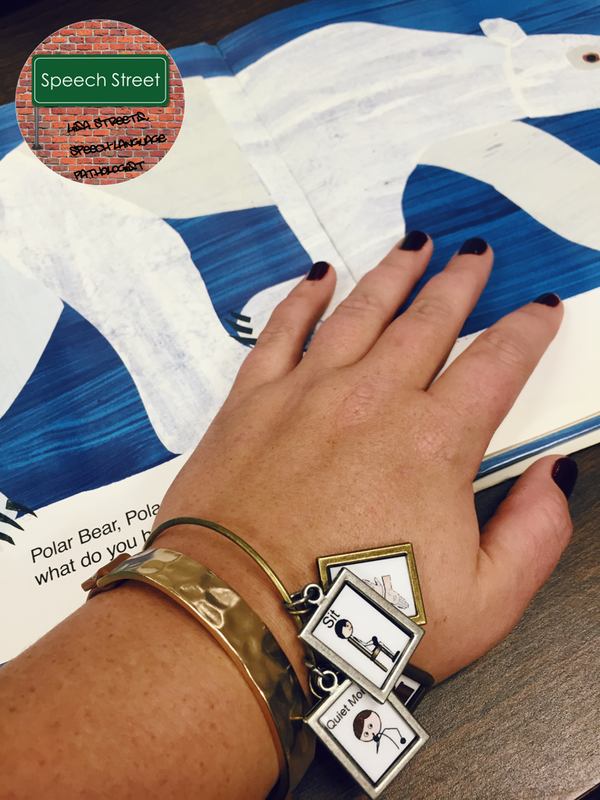 I’m obsessed with this new Behavior Visuals Jewelry from Lisa Streets, MS, CCC-SLP at Speech Street.It matches my stacked bracelets and gives me visuals that I can easily grab. I’ve shared these before, but I can’t help but LOVE these sticky notes! 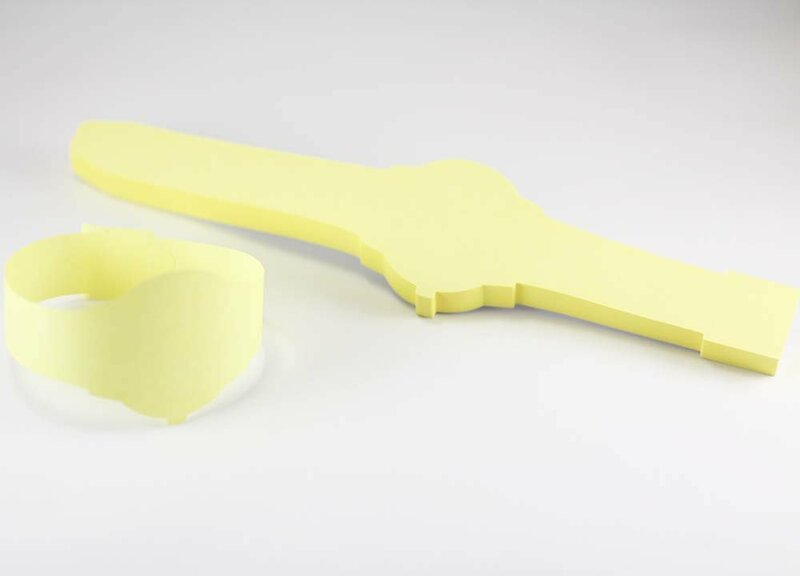 Every SLP needs open mouth sticky notes. Does your SLP have a Pandora bracelet? How about a cute little mouth charm! 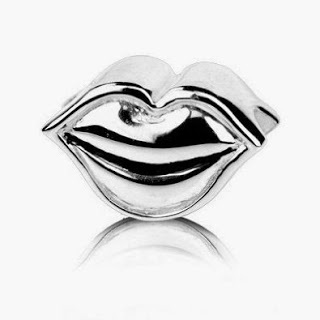 This Sterling Silver Lip Charm would be perfect! 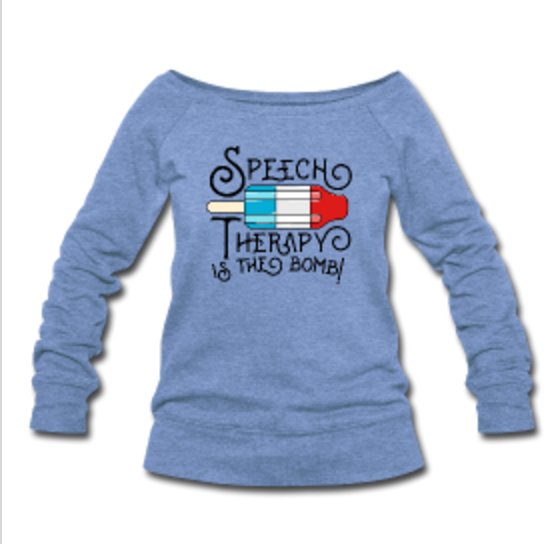 Meredith over at Peachie Speechie has so much adorable SLP gear. This SLP shirt says it all. We’re the bomb. Cool office supplies. I use post-it notes for therapy all the time. I especially love unique post-it ideas! These watch ideas are so cool. Yes. I put post-it notes on this list twice. I can’t help it! I use music all the time in speech therapy. 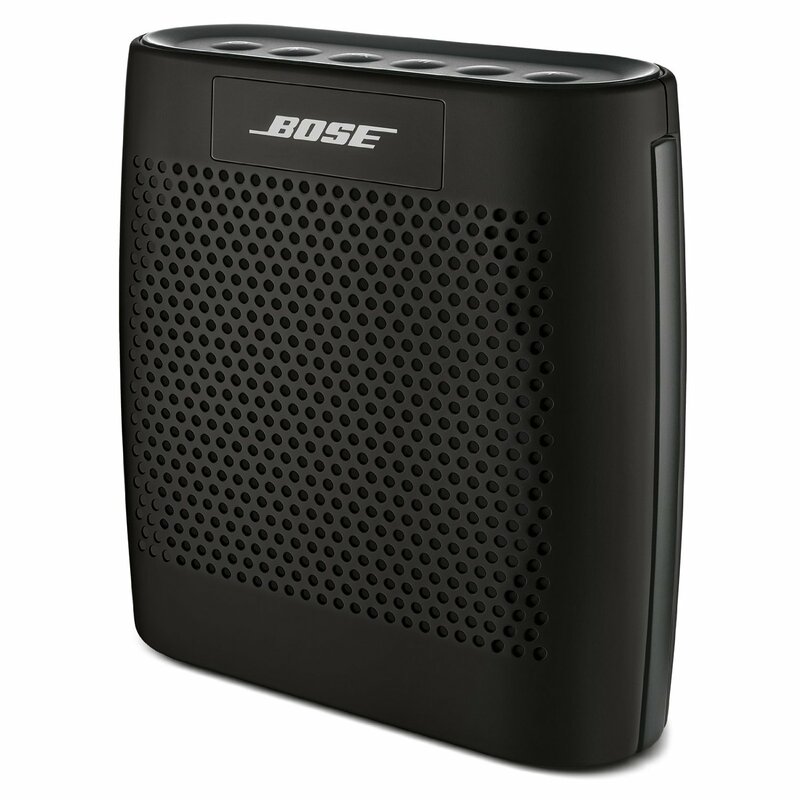 I usually have it playing from my phone so I love to use a Bose Bluetooth Speaker to make it loud enough for all to hear. 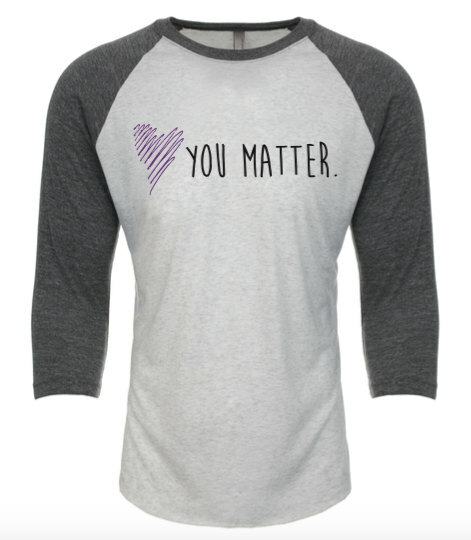 Spread the love this year with a You Matter t-shirt. Proceeds benefit suicide prevention. 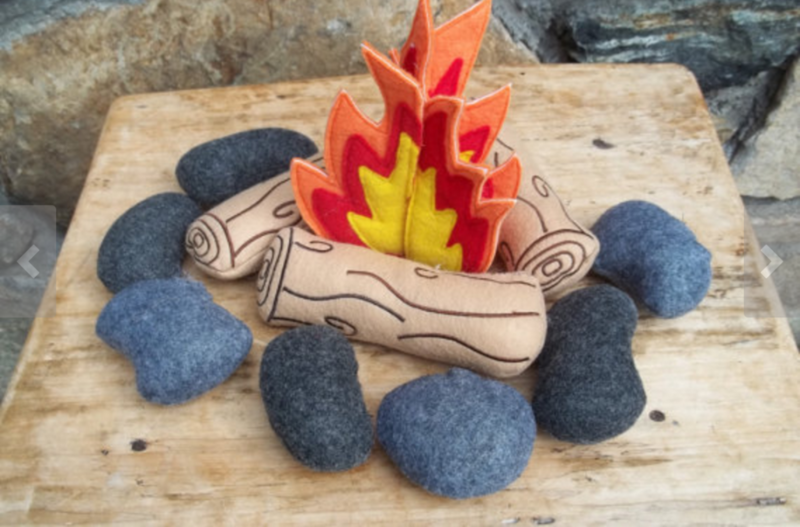 One of my favorite toys for speech therapy is a plush campfire set. You can find similar sets on Etsy. Other handmade toys are perfect for expanding language and would be a great alternative to buying your favorite SLP another game. I can never have enough art ‘stuff’ I love grabbing these art kits that have a lot of different ideas. 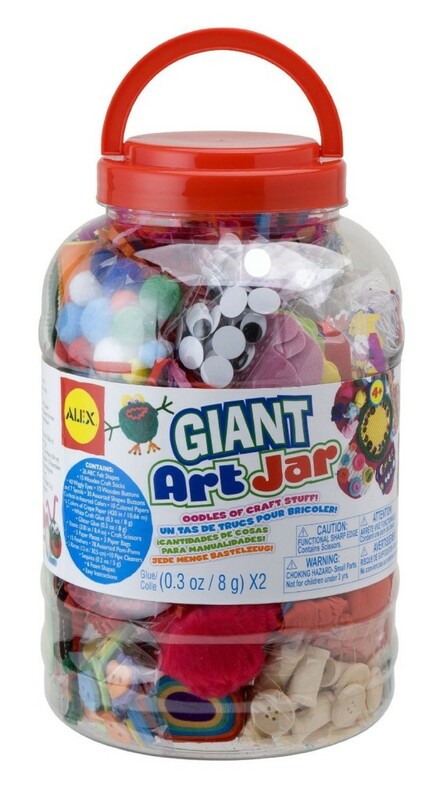 It generates creativity and creations! You can grab this one from Amazon or find one at a big box store. I love my Erin Condren life planner. I just can’t go digital with my calendar yet. I’ve used an EC for about three years now and I can’t go back! There is a lot of stress involved with being an SLP. 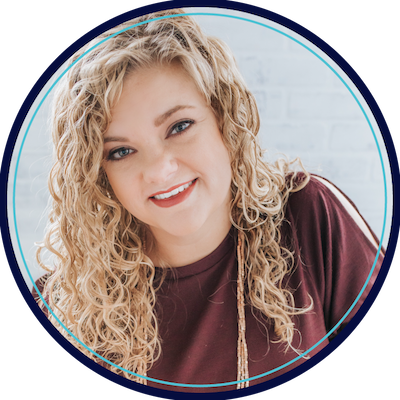 What your fav SLP really wants is to sit back and work out those kinks! A gift card for some pampering is just what the doctor ordered. 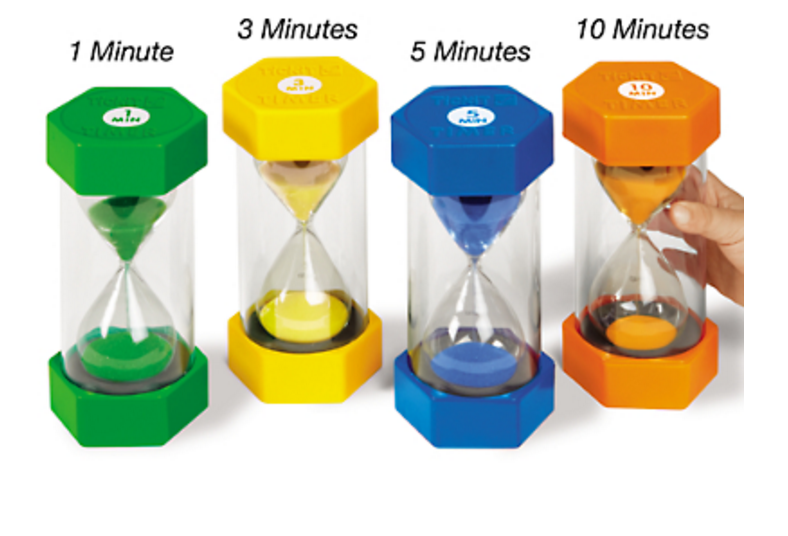 Sand Timers. I use these every single day! With many many ages! Sounds wave necklaces! These are so very cool! 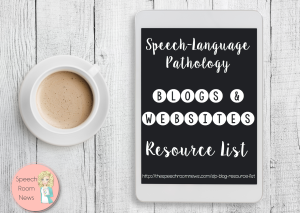 Your SLP will feel like they are back in speech sciences class! 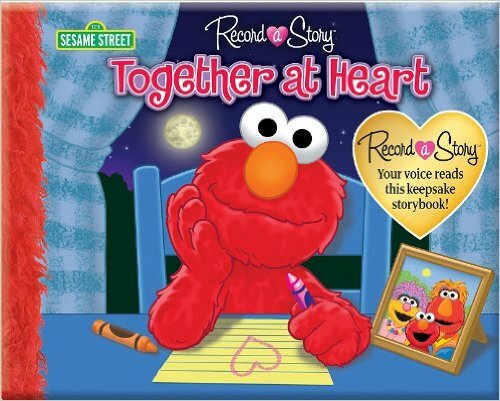 The Record a Story books are developed to allow you to read a story with family members from afar but I love them as a way to record a message to your speech-language pathologists to show all your skills! Time! The best things you can give an SLP is time. 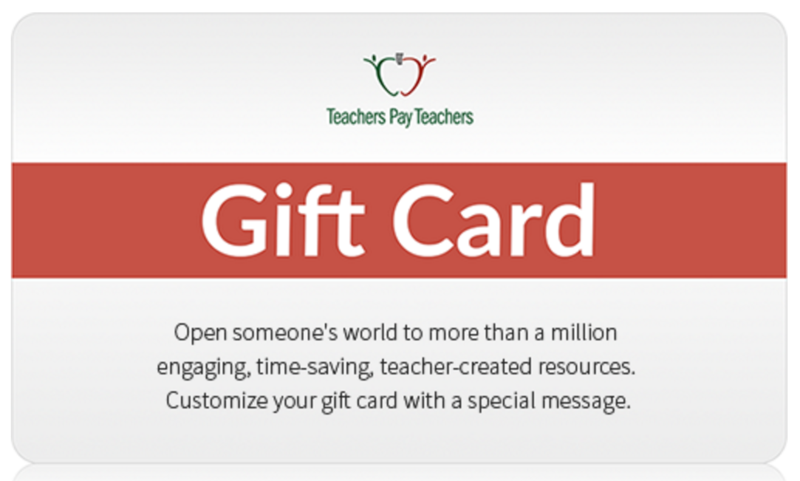 You can purchase a gift card to Teachers Pay Teachers and print out the certificate above to send them on a shopping spree in my TpT shop! I love the Speech Wave necklace! So neat. Thanks for some great ideas! I know! It’s so unique! And speaks to my nerdy heart. I totally love mine! Hope you do too! What great ideas! Thanks so much for posting! I can’t live without my EC planner or sticky notes! The visual behavior bracelet is such a neat idea! Love these ideas! 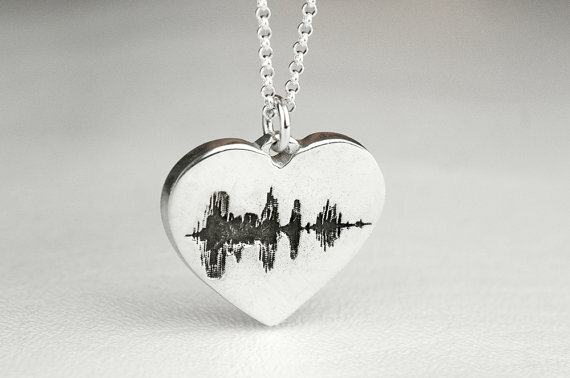 I think I might put the sound wave jewelry on my list. Just a question-what does that shirt mean? Does the popsicle have some significance? That popsicle is known as a ‘bomb pop’ which is why the phrase says The Bomb! Really cute gifts. I am a sticky note junkie!